When a great white bear promises untold riches to her family, the Lass (as she's known) agrees to go away with him. But the bear is not what he seems, nor is his castle. To unravel the mystery, the Lass sets out on a windswept journey beyond the edge of the world. 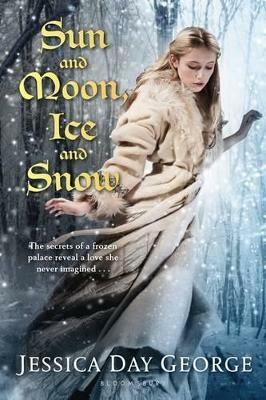 Based on the Nordic legend East of the Sun, West of the Moon, with romantic echoes of Beauty and the Beast, this re-imagined story will leave fans of fantasy and fairytale enchanted. JESSICA DAY GEORGE is the author of Princess of Glass and Princess of the Midnight Ball as well as three novels in the Dragon Slippers series, and Tuesdays at the Castle. Originally from Idaho, she studied at Brigham Young University and was a movie store clerk, a bookseller, and a school office lady before becoming a writer.